There's a 5th amendment, too! Chicago White Sox manager Ozzie Guillen stepped in it recently when using the homophobic slur “fag” to describe Chicago Sun Times sports columnist Jay Mariotti. The subsequent punishment handed down by Major League Baseball was a fine and orders to attend sensitivity training. In response, Guillen , a native of Venezuela, issued the old non-apology apology “I’m-sorry-if-anyone-was-offended” line. But his reasoning for using such an offensive term in the first place was classic. Oh sure, it’s the fault of the English language for hijacking that word. I suppose next you will ridicule Chevrolet for making a car called “Nova”, which translates to “No Go” in Spanish. Someone managed to chip out of an ice block find former MLB pitcher John Rocker, who himself was ordered to attend sensitivity training (in addition to paying a $500 fine) after his shockingly offensive comments in early 2000. Not surprisingly, Rocker came out in defense of Guillen. "This is a free country. If he wants to use a lewd term, he should be able to use a lewd term," Rocker said. "Can't you use a lewd term in America if you want?" Don’t you just love the old “free speech” knee-jerk rhetoric? Yes, it is true. We do have the right to speak freely, according to the first amendment to the Constitution. But the spirit of the 1st amendment was intended to allow citizens to speak out against the government without fear of retribution. Certain exceptions, of course, include slander, threatening the life of the President of the United States, etc. Last time I checked, Major League Baseball is not a body of government. It is a business. Therefore, if any employee under the umbrella of MLB does something which would potentially harm said business, that employee is subject to whatever punishment that employer sees fit. Can you imagine if a McDonald’s executive denounced the quality of the Big Mac? He would have the right to say such a thing, certainly. But no one would decry McDonald’s if they reprimanded or even dismissed that employee. Guillen and Rocker have been doing plenty of speaking recently. As a result, all doubt has been removed as to what complete buffoons they really are. A weekend in the life. For the second consecutive year, my wife is participating in the Susan G Komen 3-day walk for breast cancer. As if walking 60 miles over three days isn’t enough of a challenge, she must also raise $2,200 in order to participate in the August event. But since it’s such a wonderful cause, she has no qualms about doing whatever is necessary to raise the funds. That includes having a yard sale over a 3 day period this past Thursday, Friday & Saturday. She decided that all proceeds would go towards her money raising goal. My wife was successful in her attempts to raise money for charity and coax a new gas BBQ grill and patio furniture. 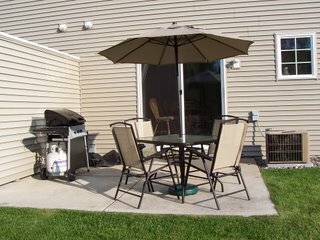 I came home on Thursday afternoon to find both our patio furniture and grill gone from our spacious patio. Whoa, whoa. Spacious patio? If you had kids and told them to go out back and play, they would only be able to play a game of checkers. That’s because a checkers board is the only thing that could fit. a) The money raised from the sale of those items would be going to a good cause. b) I would insist on buying a new grill and furniture. Wow, aren’t you a softy. I guess it’s a good thing that she didn’t include one of your cars in the sale. Why do you think I parked our better car two blocks away from our house all weekend? Anyhow, the procurement of a new grill and patio furniture turned out to be a whole different harrowing experience. We first went to purchase our new gas grill at….well….I won’t name the store but it’s the one with the big red & white bullseye on the front of the building. We picked out the grill we liked and then read the instructions that we were to contact a customer associate to check and make sure it was in stock. The woman assisting us (we’ll call her “Tami”, since that was her name) was told the item was in stock. Tami instructed us to go to the front of the store where she would wheel up the grill on a cart and ring us up at the register. Upon completion of the transaction, she stated “I hope you have a truck or van where we can load this.” No, but I assured her the back seat in our Toyota Corolla would be sufficient. Tami was quite skeptical of that, a point she was looking to prove to us when we pulled up. Sure enough, when I pulled the car up I saw her shaking her head “no”. I proceeded to move the front seats forward in an effort to create more space in the back. Tami still insisted the grill would not squeeze in there. By this time, one of Tami’s co-workers came to assist in the task of getting our grill into the backseat. Tami grabbed one end and backed into our backseat with her co-worker pushing on the other end. It took about one minute of maneuvering but they got the job done. As Tami emerged from our car I had this look of vindication on my face. All along, I politely insisted that the grill would get in there despite her protests to the contrary. Ah, but Tami wasn’t through spreading her rays of sunshine. As we were about to leave, I thanked her for her assistance. She replied with “Well, good luck getting that thing out. It will be a lot harder getting it out than it was putting it in.” In an attempt to bring a little levity to her sour demeanor, I said we would just give her a call since she was so helpful in getting the grill to fit in our backseat in the first place. Not amused, she replied “I’m turning off my phone right now” and she walked off. I guess good help (as well as a sense of humor) truly is hard to find. Oh, and by the way. We got the grill out of our car in ten seconds. Ever the gluttons for punishment, my wife & I returned to that same store a couple of days later to purchase our new patio furniture. The whole routine was the same, right up to the sales associate insisting the box wouldn’t fit all the way in our trunk. This time, we brought our Dae Woo…..
…since the trunk and back seat were larger. The sales associate, Adam, placed the big box in the trunk, but part of the box was still sticking out. I thanked him for his half-hearted effort and proceeded to finish the job myself. Thankfully, Adam didn’t try to rain on our parade by telling us that we would have a tough time assembling the patio furniture. Let me start out by saying I am not a fan of the NBA’s Dallas Mavericks. It is in large part due to the antics of their kook owner, billionaire Mark Cuban. Since buying the team in January 2000, Cuban has been fined in excess of $1 million, mostly for constant criticism of NBA on-court officials. It appears Cuban will add to his total after his latest temper tantrum Sunday evening. By the time Mark Cuban arrived in the Dallas Mavericks' locker room, he'd already peeled off the Jerry Stackhouse jersey he had been wearing in support of his suspended forward. The symbolism was fitting: Stackhouse's hard foul in Game 4 of the NBA Finals was old news. The way Game 5 finished, Cuban had a whole new fight on his hands. Cuban was irate over what he considered a series of officiating breakdowns at the end of Dallas' 101-100 overtime loss to the Miami Heat on Sunday night. The loss left the Mavericks trailing the series 3-2 and facing elimination going into Game 6 in Dallas on Tuesday night. When time ran out in Game 5, Cuban ran onto the court to vent at official Joe DeRosa, then stared down and screamed toward commissioner David Stern and a group of league officials, from the court, then the stands. I have to admit that there is part of me who has an appreciation for Cuban. Prior to his buying the Mavs, they were one of the more pathetic NBA franchises. They hadn’t had a winning season in ten years, which included campaigns of 69 and 71 losses (The NBA season consists of 82 regular season games). Cuban’s willingness to spare no expense has resulted in the Mavericks averaging 56 wins per season in the last five years. Despite all of that phenomenal success, Cuban receives most of his notoriety for his war of words with NBA commissioner David Stern and his scathing rebukes of NBA referees. Cuban practically turned getting fined into an art form after going from an owner of season tickets to owning the Mavericks. One comment about him not hiring the league's head of officiating to manage a Dairy Queen landed Cuban as a manager for a day; he also donned pinstripes and officiated a Harlem Globetrotters game. As his team improved, there were fewer stunts. He remained a visible, vocal critic, though, enough for some to suggest that his team ends up not getting the benefit of the doubt from officials. Mavs supporters have brought that up again in the wake of three players getting suspended this postseason, with Stackhouse the most recent. Dallas had a chance to win without its top reserve, leading by 11 points early and by four late in the fourth quarter. Miami ended up winning on a pair of free throws by Dwyane Wade with 1.9 seconds left in overtime. Cuban had several gripes about the play that sent Wade to the line, starting with Wade not being whistled for a collision that left Dallas' Jason Terry on the floor. "I guess that's not a call," Cuban said. "I guess that's not a foul." Can you imagine how much commissioner Stern would have to grit his teeth when presenting the NBA championship trophy to Cuban? It would be the equivalent of the NFL’s Super Bowl XV when Oakland Raiders owner Al Davis accepted the championship trophy from his perpetual rival, commissioner Pete Rozelle. I’m not one for conspiracy theories. But one that will indeed be thrown out there is Stern asking the refs to be more a little more liberal in whistling Dallas for fouls. Again, that’s just an unsubstantiated theory. But an intriguing one at that. UPDATE: Stern says Cuban's outbursts "not healthy for him or the game." Do you know who's teaching your kids? My wife, a public school teacher, recently received an e-mail from a co-worker of hers. This co-worker also happens to be the teachers union leader in this unnamed district. This unnamed union leader decided to send an e-mail to all teachers in the district explaining why he is running for a seat in the Minnesota House of Representatives. Some of you have asked why I am running for the House of Representatives. Actually, no we haven’t. But I suppose you’ll enlighten us. I became a teacher to make a difference in the lives of young people. By teaching young people that America is always wrong (verified by a former student of his). I became a coach to help kids understand that discipline, hard work, and working as a team will raise the boat for all. Raise the boat? Huh? Don’t you mean raise the bar? Come to think of it, public education is fast acquiring a reputation for being the proverbial “sinking ship”. In that case, raise the boat might be relevant. I became a union leader to ensure that teachers would have the best possible environment to make a difference. Didn’t Jimmy Hoffa have that same goal for the Teamsters? How’d that work out for him? I became an endorsed House of Representatives candidate to fight for the needs of our working families, senior citizens and most importantly our children. Endorsed by which party? Conveniently left that out, eh? Let me clear up the mystery by saying it’s that party on the left. -Our students need quality head start programs. -Our students deserve affordable academic and extracurricular opportunities and quality curricular materials. -Our students need a future that doesn't contain double digit tuition increases. Cue the sound of a 10-key calculator. Then we need to work as team to make this happen. The hardest thing to ask a teacher is to donate more time or money to help a cause. The hardest thing for me in this mission is the same. If I could change the system on my own, it would already be fixed. I can't do this on my own, so I am asking you to join the team and together lets put the education of our children back at the top of the list at the Capitol. At the TOP OF THE LIST??!!! About 40-50% of the state’s budget goes to education. Are you sure you aren’t looking at “the list” upside down? For a first-timer in the political arena, he’s certainly mastered the art of demagoguery. But here’s the best part. He responded to a colleague’s scathing e-mail by saying he’s neither a democrat nor republican. And this was after he promoted a town hall meeting with Al Franken as the keynote speaker. 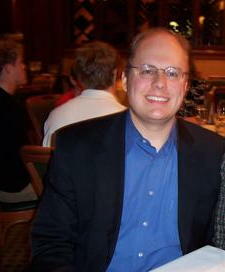 Separated at Birth: Karl Rove and....Yours Truly!! 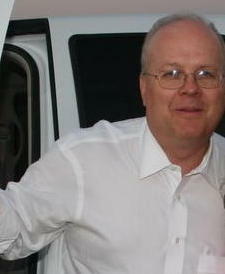 Karl Rove, President Bush’s top White House aide (and chief Democrat antagonist). It's hard out here for a Lib (you ain't knowin'). Congressional Democrats have had this certain air about them for some time. They believed their greatest hopes of regaining power would come to fruition in November’s mid-term elections. Amazingly, they seemed convinced that recapturing control of Congress would happen without an actual agenda. -Another bullet in the chamber was the sinking public opinion of the Iraq war. This has been an issue the liberal Democrats will shamelessly demagogue at the drop of a hat. As long as the deaths of American soldiers continued, the Dems figured it was another step closer to power. -But the piece de resistance? The sight of top White House aide Karl Rove being escorted out of the White House in handcuffs. 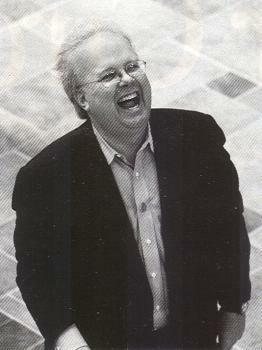 This was to occur because of Rove’s alleged role in the leaking of a CIA officer’s identity. As it turns out, the liberal’s worst fears are being realized. DeLay? He gave a nice big smile for his picture. It was almost as if he were taunting his detractors. As of this post, DeLay has still not been convicted of anything. Iraq? Al-Qaida’s chief insurgent, Abu Musab al-Zarqawi, is now taking a dirt nap. He’s pushing up daisies. Yes, he’s maggot fodder. No word on how many of the Congressional Democrats will be making an appearance at the funeral. They will in all likelihood be wearing black on that day, regardless of their attendance. Rove? In gleeful anticipation of indictments being handed down by special prosecuter Patrick Fitzgerald, many libs coined the word “Fitzmas.” This described the cheerful atmosphere of Democrats possibly regaining control of Congress once the Bush staffers were indicted. Upon Rove being cleared of all charges, the liberals received the proverbial lump of coal. What do ya think, Karl? Can the Democrats overcome their worst fears by coming up with an actual agenda and regaining control of Congress? I had the same reaction to that question myself. My wife, brother and I took my Dad to the Twins game last evening for his birthday. We left after the 11th inning with the score tied 5-5. Wouldn’t ya know it the Twins would go on to beat the Baltimore Orioles in the 12th on a Justin Morneau homer. One of the most exciting plays of a baseball game is a “walk off” home run and we missed it. Now, let me get to why we left early. For the entire game there were three drunken buffoons sitting directly behind us. They were rooting for the Orioles. All three are residents of New Jersey with a sheer disdain for the state of Minnesota. No skin off my Ashtabula. If asked about what I think of Jersey I would reply that I would rather light my remaining eight hairs on fire than reside there. Yes, when it gets to the point where I envision myself crushing someone’s skull with my cell phone, it’s about time to depart. So we did, peacefully. I didn’t get too upset that you spilled a little beer on my Dad and brother. Accidents happen, especially when you try to carry two cups of beer while schnockered. I didn’t care one iota that you mocked my enthusiasm for the home team. I paid good money for those seats. I was going to have some mindless fun. But if you so much as look cross-eyed at my wife…..? Well, just keep your sorry rear in New Jersey and we won’t have anymore problems. L. Paul Bremer, civilian coalition administration, announcing the capture of Saddam Hussein in December 2003. I will never forget the morning of Sunday, December 14, 2003 when our phone rang at about 7:00 am. My sister-in law, a Desert Storm military vet, called to tell us the good news. While it took a good thirty seconds to register, I quickly dashed downstairs to see if it was true. Sure enough, I was not dreaming. While viewing the news footage of Hussein I saw that the “Baghdad Lion” looked to be nothing more than a toothless kitten upon his capture. I felt a similar sense of victory this morning when I heard the news of the #2 frothing-at-the-mouth lunatic al-Qaida leader being taken out. Abu Musab al-Zarqawi, the al-Qaida leader in Iraq who waged a bloody campaign of suicide bombings and beheadings of hostages, has been killed in a precision airstrike (see video footage here), U.S. and Iraqi officials said Thursday. It was a long-sought victory in the war in Iraq. Al-Zarqawi and seven aides, including spiritual adviser Sheik Abdul Rahman, were killed Wednesday evening in a remote area 30 miles northeast of Baghdad in the volatile province of Diyala, just east of the provincial capital of Baqouba, officials said. "Al-Zarqawi was eliminated," Prime Minister Nouri al-Maliki said. At the White House, President Bush hailed the killing as "a severe blow to al-Qaida and it is a significant victory in the war on terror." But he cautioned: "We have tough days ahead of us in Iraq that will require the continuing patience of the American people." This is why I have continued to support the President despite the enormous federal spending and his bungling of the immigration issue. He has never looked at the war on terror as a political battle. Rather he looks at this conflict as fulfilling his duty as Commander in Chief to protect this Nation from those who seek to kill us. The President has always been able to see the “forest for the trees” in the Iraqi conflict. It has driven liberals and the liberal spin machine mainstream media crazy whenever Bush has declared we will “stay the course” in Iraq. Yes, it’s true that poll numbers indicate the majority of Americans currently do not support the war in Iraq. But does that fact alone mean we shouldn’t be there? That very subject came up in this morning’s press briefing with White House press secretary Tony Snow. Snow: The President understands what the polls are, but he also understands what his obligations are as Commander-in-Chief. And if the polling data is contrary to the national security interests, guess what -- national security interests win, period. That's how he views it. And so you can look at the poll data -- and we do, we've taken very cold and honest looks at the poll data -- but the one thing as Commander-in-Chief, he is not going to fail in Iraq. He is not going to permit failure, and therefore, even if at times that may seem to fly in the face of public opinion, he knows his job as Commander-in-Chief of the United States is to carry out his constitutional obligations. And one of the things that is a strong point of this President is that he'll do it, regardless of what the polls say. I also find it interesting that Al-Zarqawi’s death has been downplayed in some media outlets. In fact, some factions of the press have pointed out that we shouldn’t overhype this event since many al-Qaida members have been killed previously in the Iraqi conflict. Why wasn’t that reported when it actually happened? I guess that’s what happens when certain people are so invested in our defeat in Iraq. Whatever good news that has taken place is continually overshadowed by isolated incidents such as Abu Ghraib and Haditha. People can try to spin this any way they want. But the fact remains that we’re the United States of America. Our military has never lost a war unless we were sabotaged from within. Thankfully, we have a President who has never wavered in his quest to win the war on terror. I have applied to be a contestant on the ESPN game show “Stump the Schwab.” This is an extravaganza where three poor saps contestants try their hand at outwitting sports industry veteran Howie Schwab. It served me well in 1988. WCCO radio offered eight tickets behind home plate to see a Minnesota Twins game if someone could call in and answer a trivia question. What was the question, you ask? What was the score of the first ever regular season baseball game played at the Metrodome? Given the fact that this was the 80s, a quick Google search was not available. I confidently called in and told them the Twins were defeated by the Seattle Mariners, 11-7. The host chuckled and said he was merely looking for a score and not all of those other factoids. I guess I have always had that tendency of throwing in a lot of extra details when not asked for. Nonetheless, the tickets were mine!! In preparing for a possible appearance, I have now watched several episodes of “Stump the Schwab”. Let’s just say I have my work cut out for me. Well, on to the Elias Sports Bureau.